When “insulin” is mentioned, most people naturally assume that it is medication for diabetes. Did you know insulin is a natural hormone produced by our body in the pancreas? Let’s look at its role in diabetes since understanding how it affects the blood sugar can help manage the condition better and prevent the complications of diabetes. When we eat, our body breaks down the food, producing glucose (sugar), which is our source of energy for all our activities. To get into our cells, glucose needs the help of insulin. Insulin monitors the entry of blood sugar into our cells. Think of insulin as the key that unlocks our cells, so that glucose can get in. Insulin tells the cells to absorb glucose through their walls so they can receive energy. Now, to stay healthy, blood glucose levels must stay on target – neither too high or too low. When blood sugar rises after we eat, insulin production is also triggered to maintain this balance. While some of the glucose is used by cells as energy, the remaining sugar is converted into glycogen or fat – stored energy in the liver. Between meals, our blood glucose levels fall, along with the level of insulin. When this happens, the stored energy in the liver is converted back into glucose and released by the cells into our blood stream to keep our energy levels up. In non-diabetics, the amount of insulin produced relies on the amount of glucose or starchy foods eaten, the energy used and energy they need. So without insulin, the glucose stays in the bloodstream and we do not get the energy we need. This means that if the pancreas do not produce enough insulin, the level of blood glucose which stays in the blood stream rises. Gradually, over a period of time, they rise so high they exit the blood stream, through the kidneys into the urine. The high blood sugar also removes water from the blood stream, making the individual pass more urine, and makes them thirsty. Since the glucose in the blood is not being used for energy, the body must now find an alternate. It starts to use the fat stored in the body, which in turn results in the formation of “ketones”. High blood sugar plus ketones = sickness. When the pancreas produce little or no insulin, leading to a condition called Type 1 diabetes, or when the body won’t product enough insulin, or becomes resistant to the action of insulin (Type 2 diabetes), blood sugar levels rise as they are unable to enter the cells. Ignoring high blood sugar leads to the complications of diabetes like nerve damage, kidney damage, heart disease and blindness. 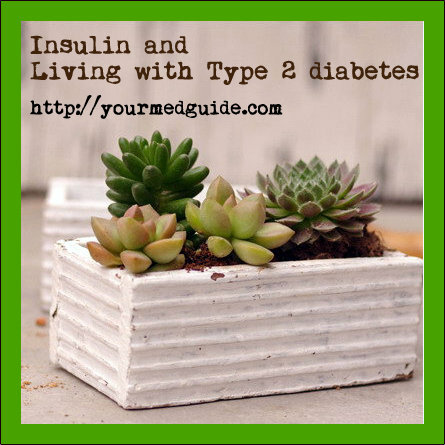 Those with Type 1 diabetes may require insulin therapy to replace the insulin deficiency. Sometimes, those with type 2 diabetes may also need insulin when diet, exercise and oral medication are unable to control blood sugar. There is also a possibility of insulin resistance, where even though the insulin is available, it is unable to unlock the cells so they can allow glucose to get in. As with any treatment, there are side effects with insulin therapy and these include allergic reactions to the injection in the form of skin rashes and itching. There is also a chance of low blood sugar accompanied by sweating, rapid pulse rate, blurred vision and shaking. Monitoring these reactions, checking blood sugar on a regular basis and being in touch with your doctor can help manage it better. Your doctor will also advise exactly how to use the insulin. 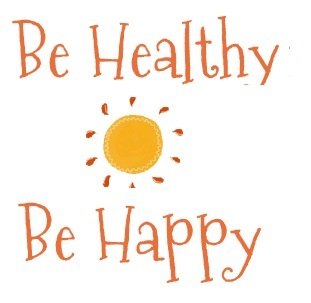 The fact is, controlling blood sugar reduces the risk of long term health problems. I had no clue what I was doing then, so insulin injections helped. However, we only used it until Mma’s sugar levels were more stable and we had a clearer understanding of how diet and exercise can help with sugar management (our local hospital offers classes). I found your blog through A to Z, and I am so glad I did! My mom has diabetes, and this site will be so helpful to her. Thanks for the hard work. I’m coming from the A2Z Blog Challenge, and I love what you’re focusing on for the challenge. I was diagnosed with diabetes in June 2013, and I have been doing pretty well with combating it. This information you’re providing is great!